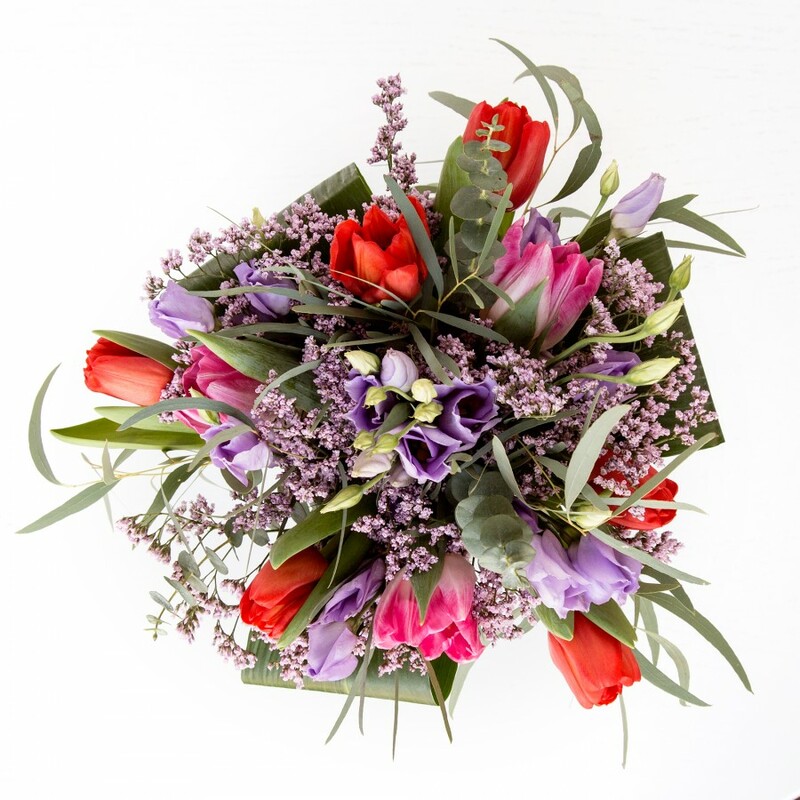 Nothing can compare to freshly picked red and pink spray tulips, together with cool lilac lisianthus, limonium, eucaliptus and aspidistra leaves. An expert choice that couldn't be left unnoticed. Original size bouquet pictured. Original Bouquet contains 11 stems. 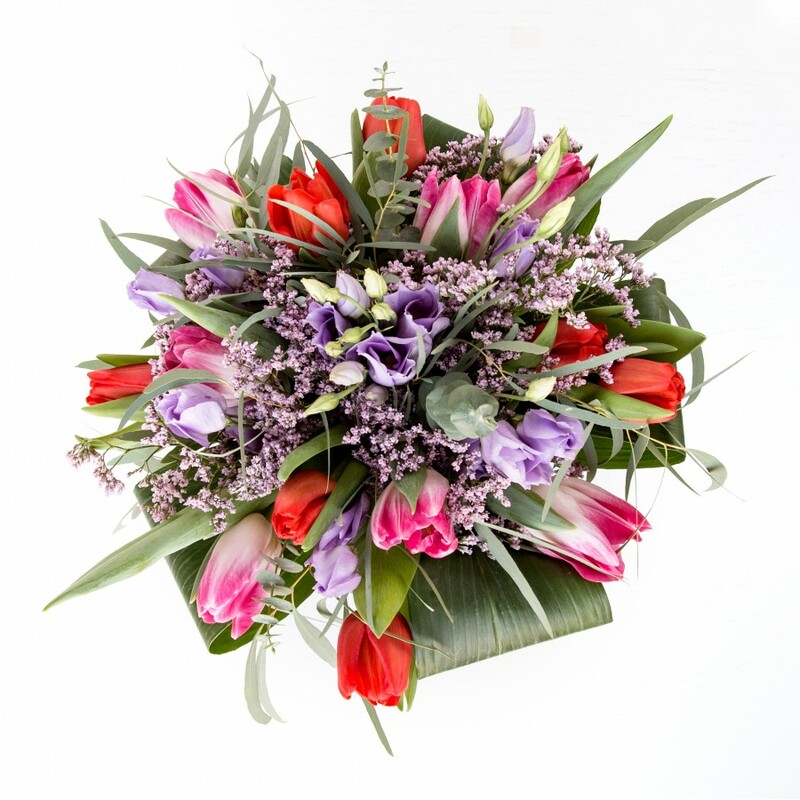 Great florist to order flowers from. They arranged the perfect bouquet for my little sister's birthday! Thanks! 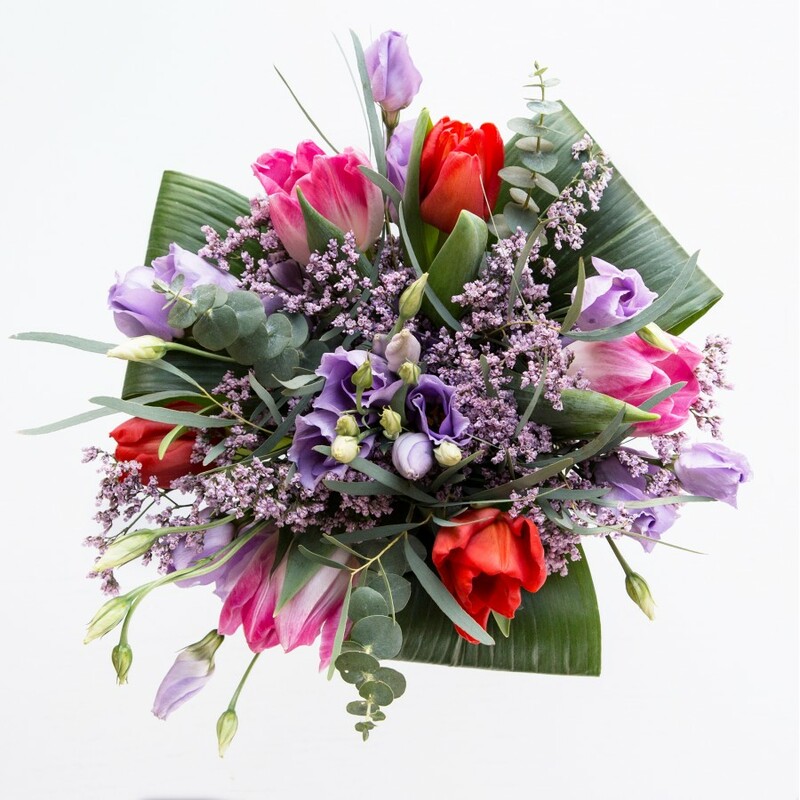 I purchased this bouquet to be delivered to a friend in Oxford. The flowers were delivered in the morning as requested. Superb service! 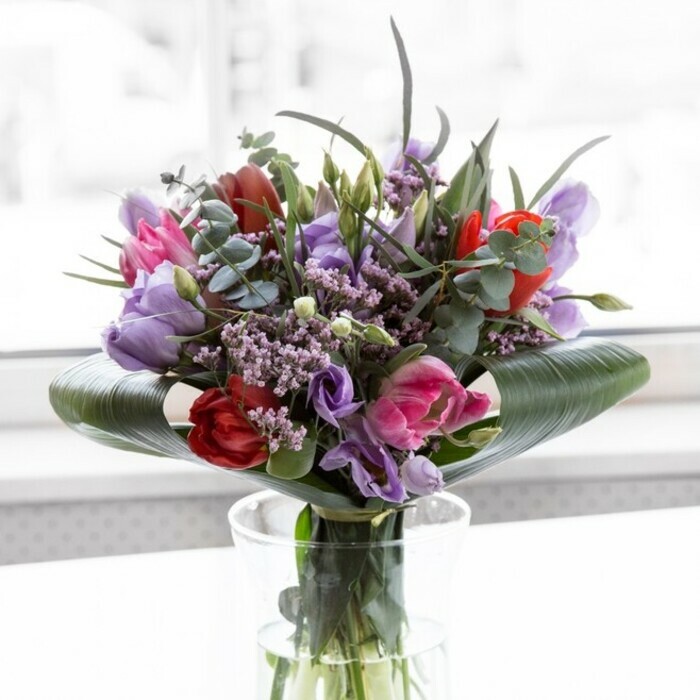 Lovely flowers – fresh and fragrant! 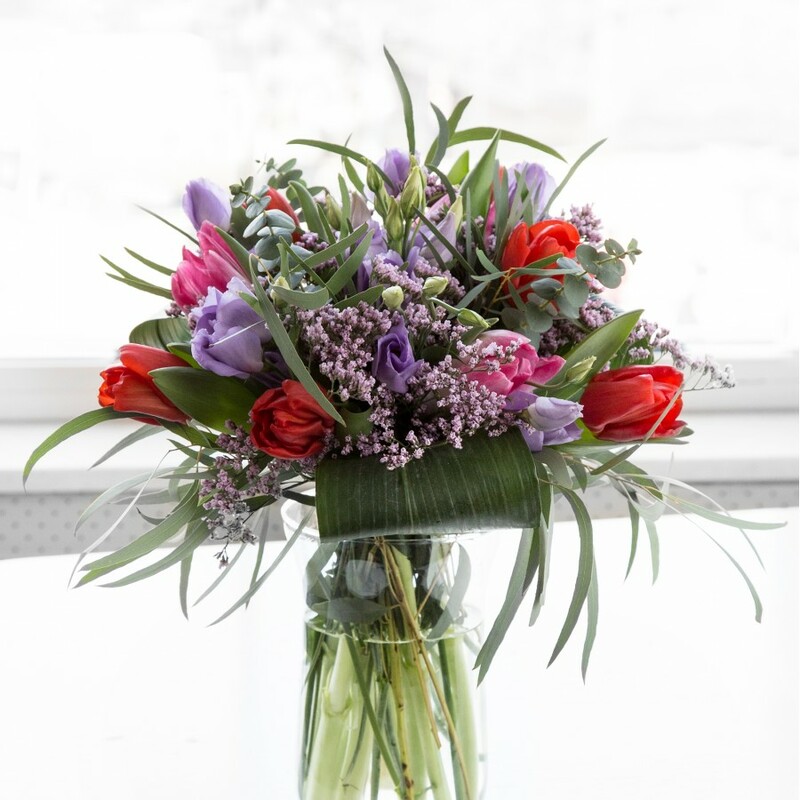 Very convenient flower shop – their flower delivery is always timely and quite cheap, and they have the most beautifully arranged bouquets of all the online stores I’ve browsed. Bought this as anniversary flowers for my parents and am delighted with them. Flowers arrived on the day that I’d scheduled and my sister was thrilled with them. She said they were fresher than what she normally gets from her local florist! I needed to cheer my friend up after her father passed away and chose Handy Flowers as they had the flowers I was looking for. 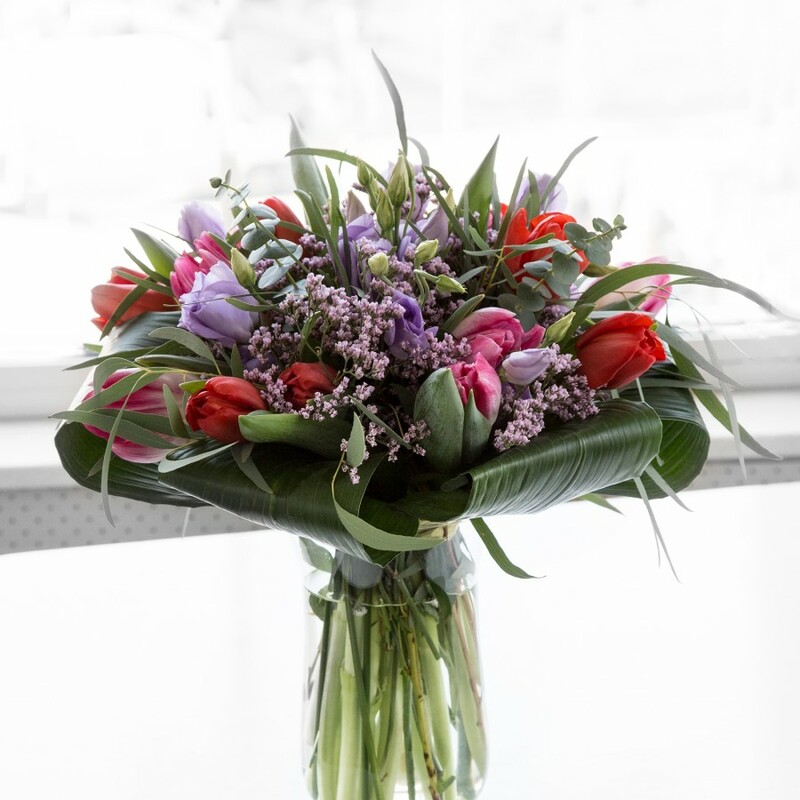 They arrived the very next day and she texted me to say they’d put a smile on her face, wonderful – thank you. Asked for THIS PRODUCT to be left with a neighbour as we wouldn’t be in and this is exactly what the delivery driver did. When we picked them up our neighbour commented on how beautiful they were and we told them where we got them from. Would give a 5 star rating for the service received – absolutely spotless and the flowers were very lovely.